Floris Elite After Shave Lotion 100ml. A fragrant post-shave astringent to close the pores and invigorate newly shaved skin. Containing witch-hazel, a natural astringent and glycerine to help moisturise the skin. In 1730 Juan Famenias Floris starts his journey in the exquisite world of perfumes, in his shop opened at 89 Jermyn Street. One of the most renowned masters of perfume. His legacy can still be found at his shop in the heart of London. 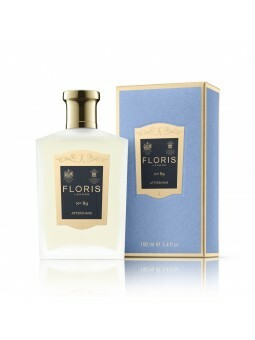 [legend] => After Shave Loción Elite Floris 100ml. 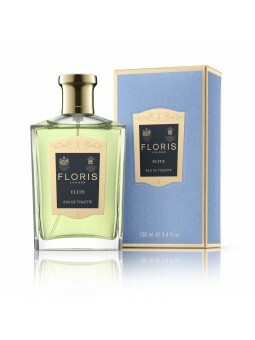 Floris Elite Eau de Toilette 100ml. The mellow woody notes are enlivened with a cool citrus twist of bergamot, lemon and orange punctuated with the green resinous notes of cedar leaf and spicy juniper berry. Lavender and fir balsam with a touch of bay are key to the character of the heart and are reinforced by the woody notes of patchouli and vetiver. Mossy notes then play a leading role as the fragrance evolves with amber, musks and a hint of leather in the base. Floris Elite Gentleman After Shave Balm 100ml.An alcohol-free balm enriched with British extracts of willow, hops and oat and a premium blend of blackcurrant, borage and rapeseed oils to comfort delicate skin. Aloe vera and menthol provide a refreshing cooling effect. Apply to dry skin after shaving. The mellow woody notes are enlivened with a cool citrus twist of bergamot, lemon and orange punctuated with the green resinous notes of cedar leaf and spicy juniper berry. Lavender and fir balsam with a touch of bay are key to the character of the heart and are reinforced by the woody notes of patchouli and vetiver. Mossy notes then play a leading role as the fragrance evolves with amber, musks and a hint of leather in the base. 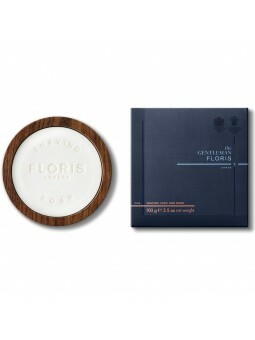 Floris Elite Gentleman Shaving Soap & Bowl 100gr. Presented in a wooden shaving bowl sourced from renewable sources, this lightly fragranced triple-milled shaving soap is formulated with a blend of oils creating a rich, creamy lather to encourage the blade to glide across the skin, minimising the chance of nicks and cuts. 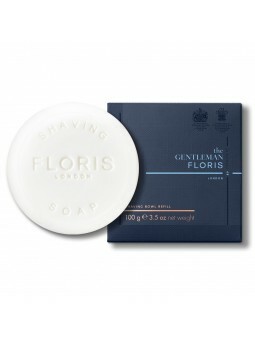 Floris Elite Gentleman Shaving Soap Refill 100gr.This lightly fragranced triple-milled shaving soap is formulated with a blend of oils creating a rich, creamy lather to encourage the blade to glide across the skin, minimising the chance of nicks and cuts. Floris Nº 89 Eau de Toilette 100ml. Orange and bergamot blended with lavender and neroli give No.89 its classical cologne aspect. Warmed with a touch of spicy nutmeg, the floral heart is underscored by the dominant woody accord of sandalwood, cedarwood and vetiver in this quintessentially English gentleman's fragrance. Floris Nº 89 Eau de Toilette Sample 1,2ml. Orange and bergamot blended with lavender and neroli give No.89 its classical cologne aspect. Warmed with a touch of spicy nutmeg, the floral heart is underscored by the dominant woody accord of sandalwood, cedarwood and vetiver in this quintessentially English gentleman's fragrance. Floris Nº89 After Shave Lotion 100ml. A fragrant post-shave astringent to close the pores and invigorate newly shaved skin. Containing witch-hazel, a natural astringent and glycerine to help moisturise the skin. 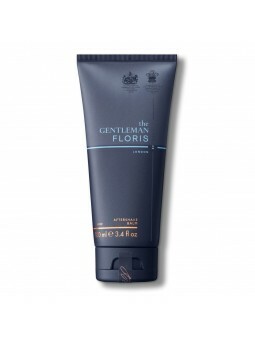 Floris Nº89 Gentleman After Shave Balm 100ml. An alcohol-free balm enriched with British extracts of willow, hops and oat and a premium blend of blackcurrant, borage and rapeseed oils to comfort delicate skin. Aloe vera and menthol provide a refreshing cooling effect. Apply to dry skin after shaving. Orange and bergamot blended with lavender and neroli give No.89 its classical cologne aspect. Warmed with a touch of spicy nutmeg, the floral heart is underscored by the dominant woody accord of sandalwood, cedarwood and vetiver in this quintessentially English gentleman's fragrance. Floris Nº89 Gentleman Face Scrub 100gr. An invigorating exfoliator formulated with kaolin clay to cleanse and brighten the appearance of skin. British extracts of willow, hops and oat and a premium blend of blackcurrant, borage and rapeseed oils work with vitamin E to help soften the facial hair before shaving. A burst of cooling menthol leaves the skin feeling revived and refreshed. Use twice weekly before shaving. Floris Nº89 Gentleman Shaving Cream 75ml. A super-smooth cream for a close shave and an expert finish. Natural extracts of aloe vera and camomile work in harmony to help soothe and condition the skin, leaving it feeling comfortable and refreshed. Dampen beard area and apply a coin-sized amount into hand. Massage onto skin and shave as normal. Floris Nº89 Gentleman Shaving Soap & Bowl 100gr. A triple-milled shaving soap formulated with shea butter to create a rich, creamy lather for a smooth shave and an expert finish. Beautifully presented in a wooden shaving bowl carefully crafted from renewable sources. The mellow woody notes are enlivened with a cool citrus twist of bergamot, lemon and orange punctuated with the green resinous notes of cedar leaf and spicy juniper berry. Lavender and fir balsam with a touch of bay are key to the character of the heart and are reinforced by the woody notes of patchouli and vetiver. Mossy notes then play a leading role as the fragrance evolves with amber, musks and a hint of leather in the base. 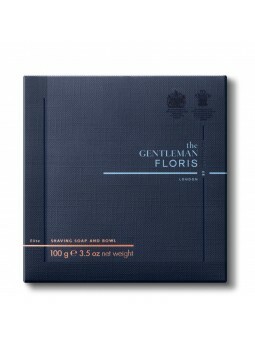 Floris Nº89 Gentleman Shaving Soap Refill 100gr. A triple-milled shaving soap formulated with shea butter to create a rich, creamy lather for a smooth shave and an expert finish. Beautifully presented in a wooden shaving bowl carefully crafted from renewable sources. The mellow woody notes are enlivened with a cool citrus twist of bergamot, lemon and orange punctuated with the green resinous notes of cedar leaf and spicy juniper berry. Lavender and fir balsam with a touch of bay are key to the character of the heart and are reinforced by the woody notes of patchouli and vetiver. Mossy notes then play a leading role as the fragrance evolves with amber, musks and a hint of leather in the base.